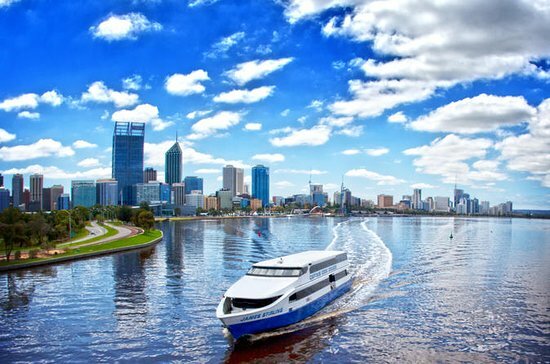 Your cruise starts in central Perth, where you’ll board your boat and set off down the Swan River, catching sight of landmarks like the Bell Tower, the old Swan Brewery building, King’s Park and the Royal Perth Yacht Club. Float past the city’s upscale suburbs to admire waterfront homes, and take in the bustling inner harbor of Fremantle, a historical port city on the other side of the river. Listen to commentary from your captain, who turns around at Fremantle to make the return trip to Perth. A selection of Western Australian wines are available for tasting during the 9:45am and 2:15 departures. Your cruise ends when you arrive back at the starting point. Nice little trip down the swanny with some interesting commentary along the way. Freo lovely as always. Saw some dolphins. Free tea/coffee/water (not sampled) overall a pleasant way to spend a few hours. 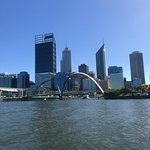 Great way to see the view from the Swan River! Great service, fantasic way to travel from Perth to Fremantle. Commentry was informative, comfortable ferry trip with sensational views, some of those houses on the river banks are amazing. Swans on the river were beautiful. Worth the trip. Get quick answers from Swan River Scenic Cruise staff and past visitors.